Fifth Third is paying a 24 pct premium for fellow U.S. lender MB Financial. The Chicago-based target gets the better deal – it has struggled to grow earnings and lent almost to its limits. But cost cuts and the logic of consolidation make Fifth Third’s share slump look excessive. 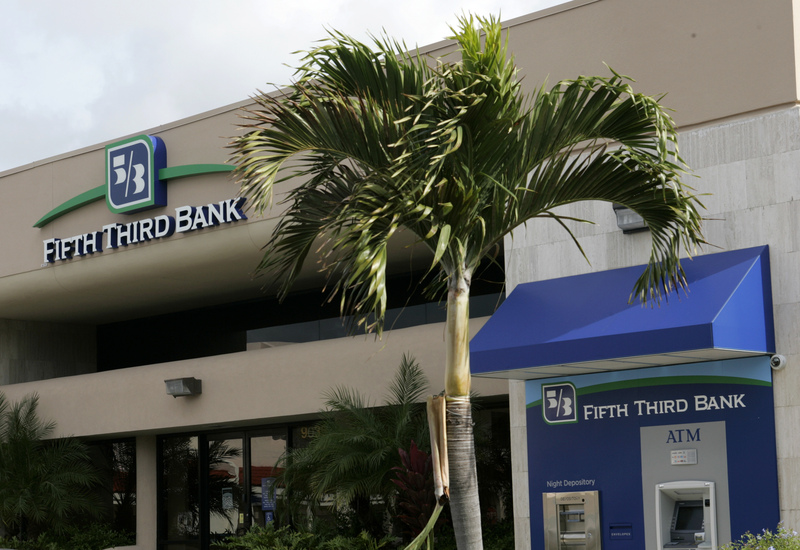 A branch location of Fifth Third Bank is shown in Boca Raton, Florida, January 21, 2010. Fifth Third Bancorp is buying MB Financial for $4.7 billion in cash and stock, the two U.S. lenders said on May 21. The offer represents a 24 percent premium to MB’s closing price on May 18. Fifth Third expects to be able to cut $255 million of costs, or 45 percent of MB’s non-interest expenses. The deal will add around $20 billion in assets to the Cincinnati-based buyer’s balance sheet, taking it to some $162 billion.